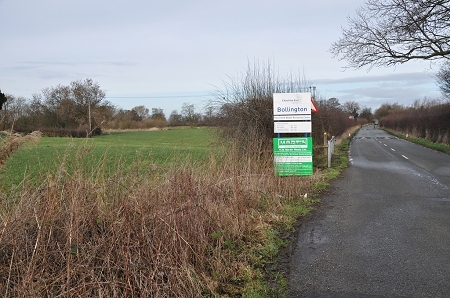 The land to the left of the road to the recycling centre (picture right), beyond the bottom end of Albert Road, and up to the river Dean (I will call it the west site) was granted a change of zoning from industrial to housing and permission given for the construction of 33 units of domestic housing (7 January 2015) despite a gallant and well founded opposition from the community of Lowerhouse, Bollington Town Council , and Bollington Civic Society. These houses are now under construction (2017/18) and the first of them are occupied. The first group have their own access from Albert Road known as Dean Bank Close. The second group have access from the road to the recycling centre and are known as Lowerhouse Green. The land to the right of the road to the recycling centre, beyond the bottom end of Albert Road, behind Lowerhouse mill, and up to the river Dean (I will call it the east site) was originally, against much opposition, given a zoning of industrial development. This has since been changed and permission was given for the construction of 30+ houses. However, nothing has happened there for some years. In March 2018 a further planning application has been submitted detailing the housing they wish to develop on the site. A revised version of this application has been submitted in September 2018. To the right of the recycling centre road there is a piece of land (I will call it the east site) the history of which is an important factor in the whole sorry saga of both sites. In about 1990 there was a strongly contested application to change the zoning of the east site from green belt to industrial and after a public enquiry permission was granted for the construction of industrial buildings. Bollington Town Council reluctantly supported this application because the owners of Lowerhouse mill indicated that they needed additional land to enable their business to expand. However, once the re-zoning application had been passed the mill owners no longer found a need for this land. Unfortunately it was/is not possible to return the land to green belt. After various changes of ownership an application was submitted for the construction of industrial units on the east site and permission was granted some years ago (early 2000s) after an inspector’s enquiry. This was quickly followed by an application to build a number of smaller industrial units on the west site, an area not previously considered for any kind of development. This was also approved. Every application was hotly opposed by the community. The 2008/09 financial down turn then intervened and the demand for industrial units reduced to the point that prevented either development from proceeding, and after five years the two permissions lapsed. Unfortunately work had begun on the east site to raise the ground level in order to reduce the risk of flooding. This resulted in the messed up field pictured below. So, from 2011 until 2018 CEC had no plans against which any planning application can be judged. The National Planning Policy Framework (NPPF), which is the top level government sponsored planning document (but for which HMG has announced changes to speed up development), has a strong presumption in favour of development, particularly where there is no local plan. That apparently overrides all previous planning decisions as to land allocation. All the previous local planning documents appear to be considered null and void. In 2014 Rowlinson Construction of Poynton proposed to submit an application to i) change the zoning of the west site from industrial to housing, and ii) to develop an estate of 33 houses and apartments on the site. As part of their obligation to consult with the local community they gave a presentation to Bollington Town Council Planning Executive Committee on Tuesday 4th February 2014 at which many residents from the Lowerhouse community were also present. There was, of course, very significant opposition to this proposal from both councillors and public. The main concerns were flooding and traffic, but over-development of the Lowerhouse community was also important. The application, 14/3844M was submitted later in the year for “Change of use from industrial to residential. Development of 34 new dwellings including 8 apartments, improvements to land levels, amenity, infrastructure and landscaping to suit.” As is often the case, this highly controversial application was submitted during the August holiday season, when they hope we are not watching, in order to reduce the negative response. Bollington Town Council (BTC) Planning Committee met on Tuesday 16 September 2014 at Bollington Cross School and were attended by c.50 members of the community. Several spoke on their objection to the proposal covering all the expected subjects including heritage, community, traffic and flooding. The meeting was also attended by Cllr Michael Jones, then Leader of Cheshire East Council (CEC). He was already familiar with the objection to development on this site as a result of an earlier meeting with BTC. He recognised that CEC officers would need to look again at certain aspects of this proposal and put in train the necessary actions. One of those was to extend the public consultation period, which they subsequently did. The case was considered by the CEC Northern Area Planning Committee on Wednesday 7th January 2015 and almost 40 Bollington residents and councillors attended. Our case was excellently put by Cllr Ken Edwards (who was also a CEC councillor but not a member of the Planning Committee), and the Lowerhouse community was represented by Dr Elaine Stokes. Each was given three minutes to speak – a very short time in which to convey the number of challenge points that this case brings to the table. Considerable time was taken by the Planning Officer, Nick Turpin, who described the application and his reasons why the committee should approve it. One point he made was that housing produces less traffic than industrial. After almost 90 minutes of discussion and questions the application was approved by 9 votes to 5 against. A number of committee members voted to approve because they could see that refusal would result in the applicant calling an Inspector’s Planning Enquiry which would almost certainly be lost by CEC, and at the expense of CEC. The committee considered a risk of such expenditure to be unjustified. Needless to say, there is no right of appeal for the community. There are strict rules and procedures set down in law for the conduct of a planning committee meeting. Some of us who attended the meeting are questioning whether or not there have been infringements of these rules. Environment Agency and the risk of flooding: A principle objection of ours is the fact that this development is on the River Dean, Zone 3*, flood plain. The Environment Agency is a statutory consultee for such an application. No evidence was provided to show that a necessary ‘sequential test’ was carried out in relation to the Zone 3 flood plain where it is clearly stated in the guidance documentation that the precautionary principle suggests strongly that only employment allocations should be considered for such sites. Committee member Cllr Louise Brown put the point very strongly and was not adequately answered. Supplementary Planning Guidance: Nick Turpin, CEC Planning Officer, made no mention of the Bollington Supplementary Planning Guidance which was carefully developed by BTC and agreed with the then Planning authority, Macclesfield Borough Council, in 2006 and confirmed by their endorsement of our Town Plan of 2008. Highway access: Nick Turpin, CEC Planning Officer, failed to advise the committee that the only access to the west site was from a private road owned by CEC (the road to the recycling centre). We would have expected some indication as to whether negotiations to allow this had taken place and whether any agreement had been reached, and for what benefit to CEC. * Zone 3 flood plain – There are three flood zones, 1, 2 and 3, where 3 is the most serious. We have always feared that if development were approved for the west site, the owners of the east site would apply to do the same. After the planning meeting discussed above it became apparent that the east site has been under discussion with the planning officers for some time and the owners were just waiting for the west site to set a useful precedent. They subsequently submitted their application for 44 units on the east site, which was approved. It is very unlikely that the community will be able to successfully challenge this application, so we will have a huge estate of at least 77 units straddling the road to the recycling centre. Lowerhouse has no facilities for such a community, it has poor road access, and no school places for their children. A number of the proposed houses back onto Lowerhouse mill – read the Slater Harrison comments regarding 24/7 working, smell and noise! It’s going to be a great place to live! Oh, and pray for dry weather! There are plenty of witnesses to flooding at Lowerhouse who are certain that these houses, even on their slightly built up land, will get wet feet before many years have passed. Our further fear is that once all this development has taken place there will be pressure to extend the east site development further up the valley, between the river and the mill pond. The east site field is presently part of the river Dean flood plain and they raised the level of the land to what the owners considered to be a safe height above any theoretical possible flooding. This requirement was specified in planning law and Environment Agency (EA) regulations. An EA map was displayed at the BTC presentation purporting to show the layout of the river Dean together with the areas that flood. This showed only about one third of the field as being in the flood area (the field to the left of the river in the picture). Those who live at Lowerhouse and know the area well know this map to be completely wrong. 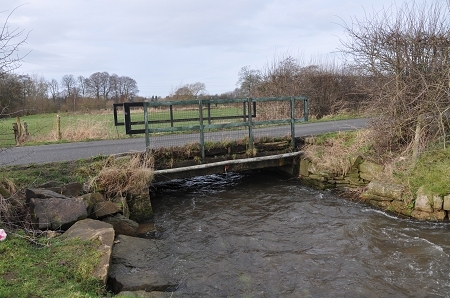 Within the past year or so (2012/13) the river has been straightened just upstream of the bridge (along the road to the recycling centre, see the picture). A large loop, and later a smaller loop, was eliminated from the course of the river. This has resulted in the water flowing much faster to the bridge and beyond and this is causing greater scouring in the following bends in the river around the proposed development on the west site. The water is now also deeper downstream of the bridge, alongside the proposed development site (picture above). The fields on both sides of the bridge regularly flood. Decades ago the wet season in this part of the world was in the summer, usually July. These days we seem to have two wet seasons with the wettest being in the winter, eg. January and February 2014! There has been a history of regular flooding; it usually comes up quickly after heavy rain and drains away in the days following the cessation of the rain. A serious flood, which is not unusual, will cover the fields and the road, which is higher than the surrounding land, right up to the mill on the one side and close to the garden hedges of the houses in Woodlea Drive. The proposal is to raise the land level so that the houses would be standing on a low island in the field. If this were done the intention would be for flood water to pass only along the river course. However, in practice, when the upstream field floods it would flood the road, and the bridge, but would no longer be able to flow into the developed field. It would therefore look for a way round between the development and the houses in Woodlea Drive. The possibility is that the residents of Woodlea Drive may start to find their gardens awash. The proposed ponds built around the riverside boundary of the site are said to be designed to accommodate an amount of water equivalent to that which floods the field at present. If the EA drawings show only a third of the field as being subject to flooding it would seem probable that these ponds will not hold the amount of water that is known to actually fill the field. It is unclear how the flood ponds will be emptied after the flooding river recedes. If they are connected directly to the river by pipes the water level will go up and down with the river level. If they are reliant on natural drainage into the ground emptying will be an uncertain matter depending on the porosity of the lining and the subsoil. No doubt there will also be natural hydraulic pressure from the river itself tending to keep water in the ponds. If the ponds are sufficiently deep to accommodate all the water that we know the field can carry in flood, then the ponds may never completely empty. Any solution that leaves water in the ponds implies that the capacity of the ponds will be effectively reduced by the amount remaining. I comment in a private capacity and not as a representative of any group or body. I am not a resident at Lowerhouse. I strongly oppose the application to develop this area of unspoiled open green space. While the site was some years ago changed from green belt to industrial no development has taken place and it remains open green space. I support the community in requesting this land (as well as that on the other side of the road) be returned to green belt. I strongly support the many comments of others regarding heritage, traffic and community. I will comment in detail only on flooding. Despite our protestations, the Environment Agency (EA) have approved the proposal. They carried out a desk study which resulted in approval with standard conditions. They say the application complies with the National Planning Policy Framework (NPPF) as detailed in the Flood Risk Assessment submitted by the applicant. NPPF considers the proposed residential development as a ‘more vulnerable’ development in respect of flood risk. The latest data used was dated 2010. EA’s flood plan shows a smaller area subject to flooding than the local community has regularly experienced on the ground. 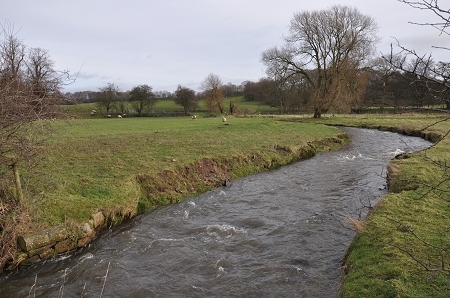 Several changes have been made to the river course through Bollington in recent years. These include the lengths either side of Lord Street bridge and through the Tullis Russell site in the middle of Bollington to speed up the river and prevent flooding of the Tullis Russell factory, and more recently (2014) significant narrowing of the flood channel behind the Waterhouse development site. This latter will result in deeper flood water and therefore higher discharge speeds in that area and with unidentified implications for flooding below Garden Street bridge and on down to Lowerhouse. There is no evidence that EA have re-assessed the flooding potential of the lengths below central Bollington as a result of these works. Each of these changes and the housing developments have been approved by EA but seemingly on a piecemeal basis. Further changes have been made to both the river and flood plain at Lowerhouse, on the east side of the road. The river has been altered by removing a large loop and a smaller loop and as a result the water speed has increased significantly, particularly in times of flood. The flood plain has been considerably reduced by raising the land level over several acres, supposedly in preparation for building industrial premises, but which have never materialised. The changes in water speed are already affecting the river where it passes under the bridge on the road to the CEC recycling centre and increasing the erosion of the river banks downstream of the bridge immediately in front of the proposed development site. In times of flood the very short low bridge cannot, of course, cope with the volume of water. The bank on which the road is built acts as a dam which results in raised levels and flooding on the east side. This water then overflows the road over a significant length, as far up as the mill in the worst floods. In the past this water has simply flowed across the road and drained into the field opposite, which is the proposed development site, and then away with the river. If this development is completed as proposed, the water on the road will be able to drain into the estate. The individual houses may be protected because the floor levels will have been raised 60cm or so above the EA assessed flood level (which is lower than local observations) but they may still be surrounded by flowing water. There is no evidence that EA have taken the more recent changes into their plans or assessments. Further their data is based on modeling rather than observed reality. As a result I believe that the applicant has made their Flood Risk Assessment based on out of date plans and data. EA have judged this against their own inadequate data and unsurprisingly found it adequate. Local experience has more than once in recent years observed flooding to a higher level than the EA’s 1 in 100 year max. We can have no confidence in any assessment based on EA data. The present bridge is very narrow, of short span over the river providing limited capacity and, by modern standards, of very poor quality. Therefore, in the unfortunate case that this development gets approval, CEC should grasp the opportunity and apply a condition requiring the bridge to be re-built with greater road width, height and span across a widened river at the entire expense of the developer, an expense that CEC are unlikely ever to justify on their own account. Note added in September 2018 – CEC have announced that the bridge is to be replaced during the two weeks 24th September and 7th October 2018. From a reading of the Flood Risk Assessment it is clear that EA calculate the flood areas using computer models. It seems that no account is taken of on the ground evidence at the times of flooding. Indeed, they actually state that flooding is not an issue here because there have never been any reports of flooding here! Who calls the EA to tell them that a field is flooded? We must do so in future. As with every development proposal for Albert Road and Lowerhouse, there are major concerns regarding the increase in traffic to this already clogged area. There are two primary schools, two infant nurseries, the fire station, a factory and the mill, as well as large numbers of houses. David Roberts, Rowlinson Construction, held that traffic capacity had already been proven at the public enquiry for the previously authorised development. 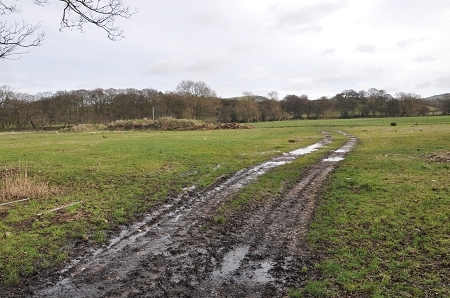 Sandra Edwards, Bollington Civic Society, has said that this land must now be returned to the green belt. However, at the planning committee meeting the planning officer said there were no plans even to review the possibility of reverting this land to green belt. I mentioned in my comments to the planners (above) the need for a better bridge over the river. This is needed because the present bridge is of questionable strength – it was never built for the size and weight of trucks that use it today, and particularly because it does not provide adequate water capacity when the river is in flood. As a result the roadway, which is built up above the surrounding fields, acts as a dam and causes a build up of flood water on the upstream or east side. A bigger bridge with a greater span across the river would reduce the flooding potential on the east side and thereby reduce the present tendency of the flood water to cross the road into the field on the west side. In the week after approving the application to build houses on the west site it became known that CEC had prepared a tender request for a new bridge! It was expected to be built later in 2015 during which time the recycling centre was to be closed for approximately six weeks. The budget for this work was £600,000. The developer of the west site had not been asked to contribute to this, although they will be contributing £66,000 to other community purposes (what used to be called the 106 agreement). However, no bridge work has yet commenced. (03/2018}. I acknowledge with thanks the assistance of Cllr Ken Edwards in the preparation of this page.